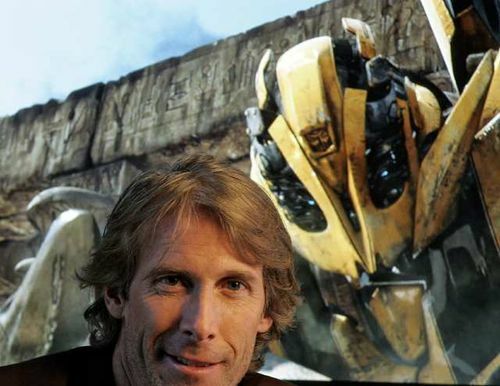 Reporters gasped in shock last Tuesday when Michael Bay, after announcing his intention to make at least ten Transformers films, revealed that he is actually a robot in human disguise. Bay, best known for numbing America’s minds with two and a half hour pyrotechnics displays in the Transformers series and butchering American history in Pearl Harbor, told the crowd that he has been hiding this secret for years. Our film crew reports that they “almost felt emotion” when Bay opened up about his life-long struggle to connect with humans. It was “nearly cathartic” when he recounted his tale of attempted suicide, where he came mere millimeters away from touching the red wire to the green wire. After this , many critics that once referred to Bay’s directing as “viciously untalented” or “the worst of the century” are starting to take new stances. Bay also explained the meaning behind his Transoformers series, describing them as a reflection of the war he feels—or wishes he could feel—inside of him. Unfortunately, the first Transformers didn’t fill the gaping void in his programmed soul. So he made another. And then he made another. And now he is scheduled to make a fourth. Critics and audiences alike now eagerly anticipate this fourth installment, and have affectionately named Bay the Tin Man. After learning of this nickname, Bay decided to embrace it and announced plans to act and direct his magnum opus: a reimagining of The Wizard of Oz.